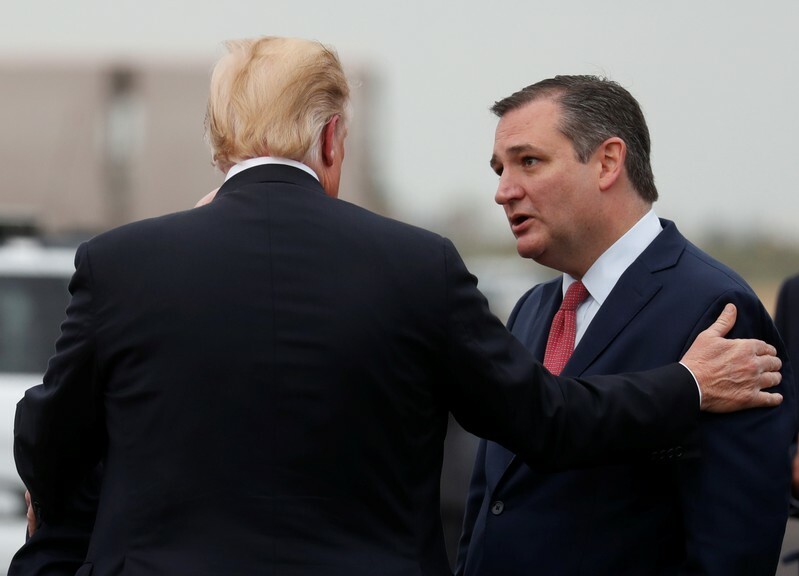 HOUSTON (Reuters) – U.S. President Donald Trump set aside his old feud with Senator Ted Cruz on Monday and headlined a packed rally to help the fellow Republican in his tight race in Texas with rising Democratic star Beto O’Rourke just two weeks before the Nov. 6 elections. 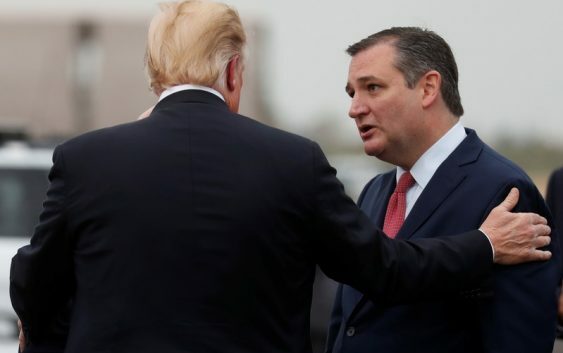 Monday’s rally in Houston was the first time Trump threw all his muscle into helping Cruz fend off O’Rourke, even though Cruz has opened a lead in opinion polls on O’Rourke. “God bless Texas, and God bless President Donald Trump,” Cruz said in opening remarks at a jammed Toyota Center arena. Having given Cruz a new nickname, “Beautiful Ted,” Trump reviewed their 2016 battle when he took the podium after the two men embraced. Trump quickly turned his attention to O’Rourke, who is running strong in a Republican state and giving Democrats hope they can break their opponents’ longtime stranglehold on Texas. Democrats have seemed poised for months to capture the House, but many races have tightened in recent weeks to the point that some analysts think it is conceivable Republicans could hang on to control. Buoyed by a recent uptick in his job approval ratings to the high 40s in opinion polls, Trump is hammering away at two major themes: illegal immigration and the brutal Senate confirmation battle over U.S. Supreme Court Justice Brett Kavanaugh. He is also promoting a plan for middle-class tax cuts. In his rally speech, Trump sought to blame the Democrats for a caravan of people traveling toward the United States through Mexico. The caravan, an estimated 7,000 to 10,000 Central Americans fleeing violence and poverty in their homelands, is in southern Mexico, inching toward the distant U.S. border. “This will be the election of the caravan, Kavanaugh, tax cuts, law and order and common sense,” Trump said. Trump also bashed globalists as hurting the United States.